I was very fortunate to spend the day at the Colgate Technology Center in New Jersey. The focus of the conference was the use of the Internet in general and social media in particular to provide accurate medical dental information. That was all good and interesting. As a bonus we were given a tour of the lab facilities and it was very impressive. My attitude, fostered by my dental school instuctors from many years ago, was that toothpaste is a generic commodity and they are all essentially alike. My eyes were opened. We were shown how the various products are formulated to kill bacteria, reduce sensitivity or whiten intrinsic stains. The lab testing equipment included DNA samplers, artificial mouths, and scanning microscopes. Not to mention a machine (or two) that mimics the brushing action. Fearing they may become the subject of malpractice litigation or licensing violations, some Oregon dentists are reportedly refusing to treat patients who refuse to be x-rayed before routine cleaning appointments. "The Standard of Care in Oregon requires that current radiographs are available prior to providing treatment to a patient. If a patient without a medical justification refuses to allow radiographs to be taken, even with the offer to sign a waiver, then providing treatment to that patient would violate the Standard of Care in Oregon." Since then, according to an Associated Press story, dentists have been "erring on the side of caution" to protect themselves from malpractice claims and avoid putting their licenses in jeopardy. Some dentists say the description provided by the dental board is confusing with regard to what constitutes "current," the AP reported. The rule of thumb is spelled out in guidelines from the ADA and the U.S. Food and Drug Administration (FDA), according to Patrick Braatz, executive director of the Oregon Board of Dentistry. Those guidelines call for posterior bitewing exams every 24-36 months in established adult patients with no caries and no increased risk of developing caries and every 18-36 months for adolescents with permanent dentition (Journal of the American Dental Association, September 2006, Vol. 137:9, pp. 1,304-1,312). For recall adult patients with caries or at increased risk of developing caries, the exams are recommended at 6- to 18-month intervals. 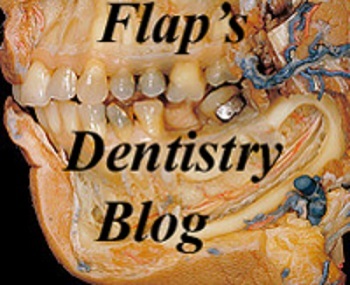 "A patient refusing to have x-rays taken is not something that a dentist can agree to as it violates the standard of care," Braatz told DrBicuspid.com in an email. "X-rays are a diagnostic tool, and based on the condition of a patient's oral health and the guidelines from the ADA and the FDA and what is taught in dental school is what is considered the standard of care for dentists." Scientists using nanotechology at the University of Maryland School of Dentistry have created the first cavity-filling composite that kills harmful bacteria and regenerates tooth structure lost to bacterial decay. Rather than just limiting decay with conventional fillings, the new composite is a revolutionary dental weapon to control harmful bacteria, which co-exist in the natural colony of microorganisms in the mouth, says professor Huakun (Hockin) Xu, PhD, MS.
"Tooth decay means that the mineral content in the tooth has been dissolved by the organic acids secreted by bacteria residing in biofilms or plaques on the tooth surface. These organisms convert carbohydrates to acids that decrease the minerals in the tooth structure," says Xu, director of the Division of Biomaterials and Tissue Engineering in the School's Department of Endodontics, Prosthodontics and Operative Dentistry. After a dentist drills out a decayed tooth, the cavity still contains residual bacteria. Xu says it is not possible for a dentist to remove all the damaged tissue, so it's important to neutralize the harmful effects of the bacteria, which is just what the new nanocomposites are able to do. The researchers also have built antibacterial agents into primer used first by dentists to prepare a drilled-out cavity and into adhesives that dentists spread into the cavity to make a filling stick tight to the tissue of the tooth. "The reason we want to get the antibacterial agents also into primers and adhesives is that these are the first things that cover the internal surfaces of the tooth cavity and flow into tiny dental tubules inside the tooth," says Xu. The main reason for failures in tooth restorations, says Xu, is secondary caries or decay at the restoration margins. Applying the new primer and adhesive will kill the residual bacteria, he says. Fillings made from the School of Dentistry's new nanocomposite, with antibacterial primer and antibacterial adhesive, should last longer than the typical five to 10 years, though the scientists have not thoroughly tested longevity. Xu says a key component of the new nanocomposite and nano-structured adhesive is calcium phosphate nanoparticles that regenerate tooth minerals. The antibacterial component has a base of quaternary ammonium and silver nanoparticles along with a high pH. The alkaline pH limits acid production by tooth bacteria. "The bottom line is we are continuing to improve these materials and making them stronger in their antibacterial and remineralizing capacities as well as increasing their longevity," Xu says. A story in today's New York Times points up a new aspect of the unfortunate phenomenon of people seeking treatment for dental problems in hospital emergency rooms: patients claiming to be in agony from dental disease in order to procure prescription pain medication, and emergency room physicians trying to sort out which of them actually need those drugs. The Times did not explore the underlying problem--there is virtually no consistent, substantive dental safety net for low-income adults. Medicaid dental programs, which vary state by state, generally focus only on covering children. The children's programs range from pretty good to abysmal. There is less variation in states' Medicaid adult programs, because there is no federal requirement for adult Medicaid coverage. It is virtually nonexistent. Uninsured and indigent people cannot get routine dental care, small problems become big ones, and the pain becomes intolerable. As a result, they flock to emergency rooms with dental pain. That they have dental problems is apparent to ER physicians. But whether they actually need pain medication is a judgment call. The one certain thing is that ERs, except in those rare cases where there are staff dentists, cannot actually treat dental problems. Patients are given antibiotics or pain medication and sent on their way, only to return with the same complaints, because ER physicians cannot address the disease, only the symptoms. The irony is that this revolving ER door costs Medicaid more than treatment by dentists would. States would actually save money by providing basic care, such as fillings and extractions, to these patients. Ultimately, the ER/dental phenomenon points out the fundamental shortcomings in how this country provides and does not provide oral health care to those who can't afford regular dental visits. Virtually all dental disease, especially the advanced cases that show up in emergency rooms, is preventable. When the nation shifts to a prevention rather than surgical model of public oral health and provides basic dental services to more people who otherwise cannot afford them, the ER physicians' dilemma will be greatly diminished. Until then, we can expect more of the same.